kind considerate honest trustworthy good fun somone whos company I can relax in? 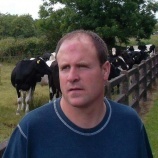 TurboTommy353 is a Male dating in Galway, Ireland. Check the description of this 50 years old profile, he is Other and Catholic maybe this matches your profile description and you can both start dating in Ireland for free.